Yes, I had the same issue* when I used Gnome. *I'm not sure if it's a bug, but I agree that it looks very weird. Sorry to ask, which desktop environment do you use now? I have a slightly feeling this is normal. 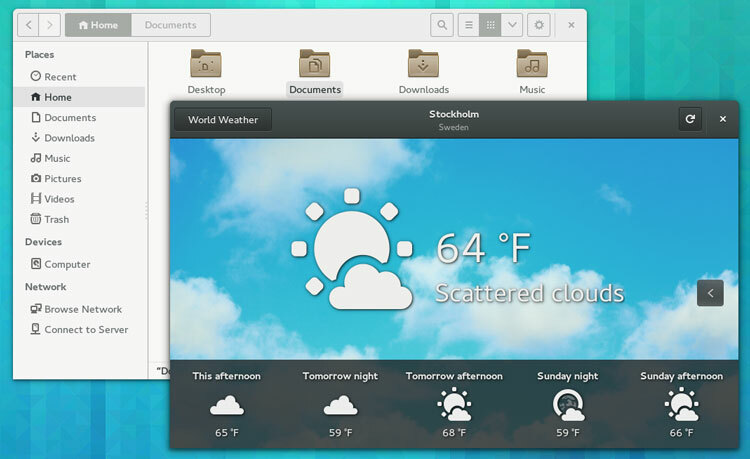 Compare it to other GNOME apps' toolbars and they should be equally thick. Yeah, Nowadays Gnome has these "header bars", which are bigger than normal tool bars. And it's quite controversial, some people like them and some think it's awful. Look at GNOME's stock web browser (Epiphany) in the back. The address field is kinda the same size. Or do you have the impression Opera's is thicker? But I have to say that I think it doesn't fit in Opera. In the image @rafaelluik provided it's okay because it's in the header bar, but in Opera I think it should be thinner. Never mind, I will go back to Unity.